Life has been different since I was first introduced to Washi (decorative paper tapes). A lot more beautiful with or without commitment – you can leave them on permanently or change your mind, there are endless creative possibilities! 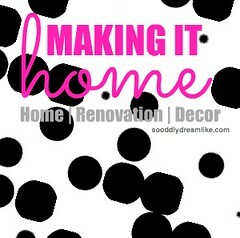 I’m dreaming that Joy’s playroom will look something like this! You can imagine, I was super excited to be invited to Scotch 3M’s Tea Party to celebrate the launch of their amazing Expressions Tapes! Spot various designs of the new Expressions Tapes on this banner! 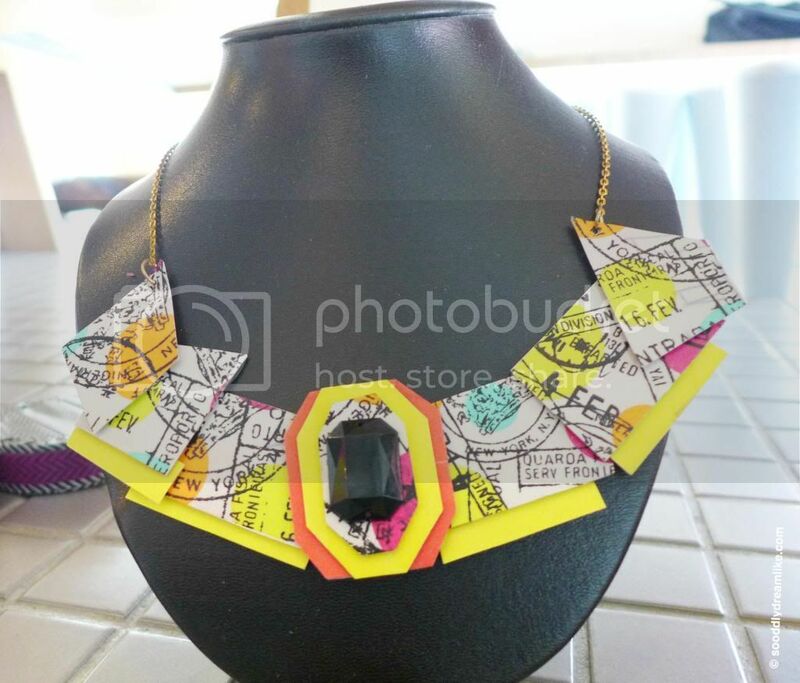 There were a number of everyday items customised using Expressions Tapes on display at the launch and this one really caught my eye. 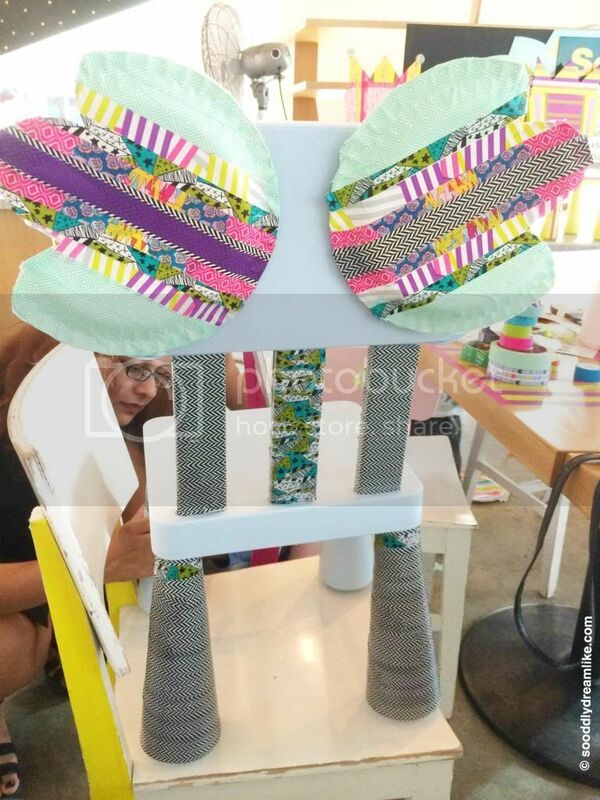 Our activity that day was to have creative fun customising an Ikea chair each using different tapes from Scotch 3M, including the beautiful Expressions Tapes! There was no limit to our creativity because we were told to use as many tapes as is necessary and just enjoy ourselves! Woo Hoo! 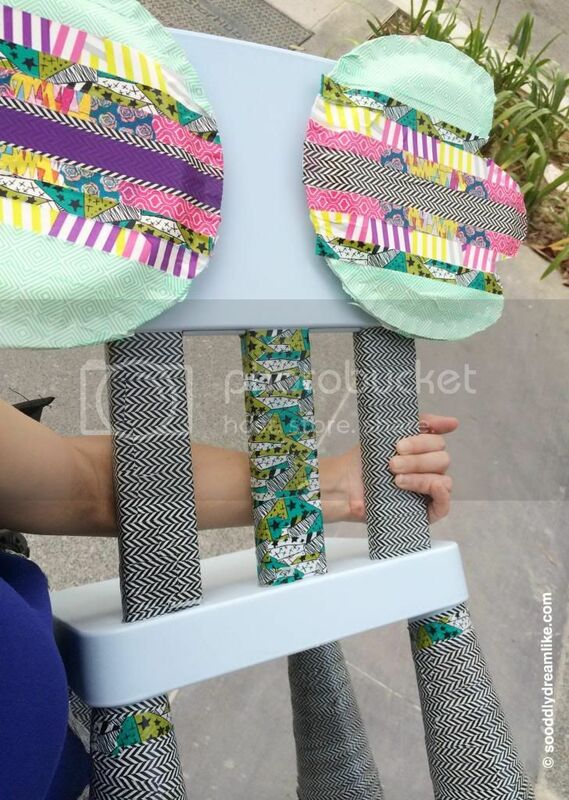 I wanted to try making a girly chair without using too many girly colours and also to try different combinations of the beautiful tapes all together to see how it looked. I was emo-ing when the activity first started because everyone’s children joined in the fun but I became more and more absorbed in designing the chair, until I forgot I was #foreveralone. I really like the black and white tape, so much so that I used a lot of it in my design. Boring to have all three in black and white, so I highlighted the middle backing with a different design. 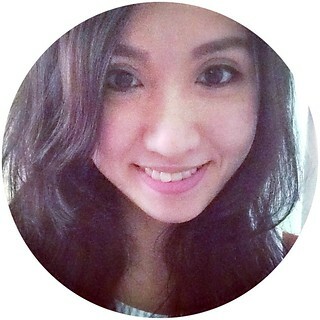 Loving the results! Her preferred choice of seating at all times now. 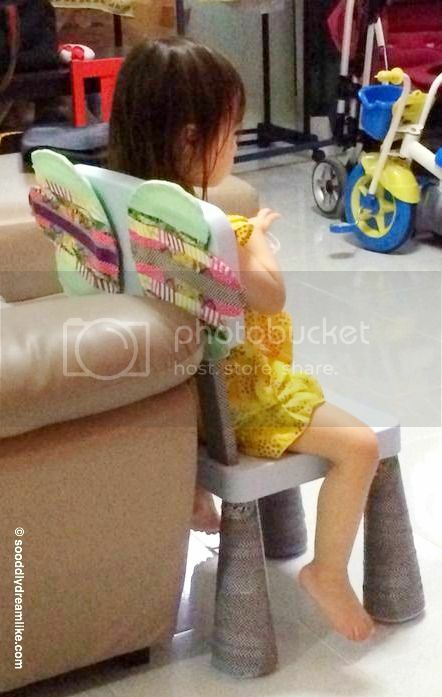 Joy broke into a beautiful smile when she learnt that the chair is for her. She kept on admiring it and telling everyone that “Mummy 做给 JoyJoy 的!” or “Mummy 做给我的!” (“Mummy made it for me!”). So much win! These tapes are designed to stick on a wide variety of surfaces for both permanent and temporary applications. They can be removed cleanly, and can also be written on with a pen, pencil or marker. Beautiful and functional. 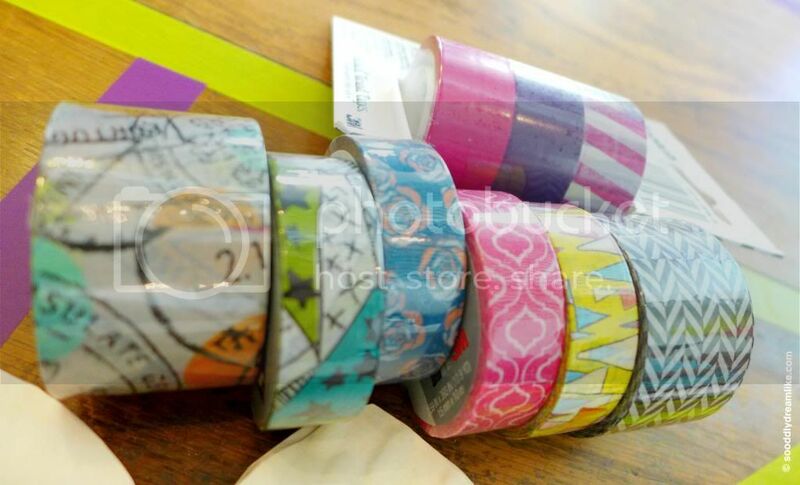 Priced from $3.90 to $9.90, the 3M Scotch® Expressions Magic™, Washi and Masking Tapes come in so many pretty designs that I’d have a hard time choosing when they start retailing from mid March (like now! *breathe*) at selected POPULAR bookstores and other leading retailers. Want to learn how to make amazing with these Scotch® Expressions Tapes? Gather your family and friends and join the Scotch® Make Amazing workshop sessions happening during the March school holidays at POPULAR Northpoint (March 15-16) and POPULAR Bras Basah (March 21-23). Unleash your creativity and try your hand at turning an everyday item into something amazing! 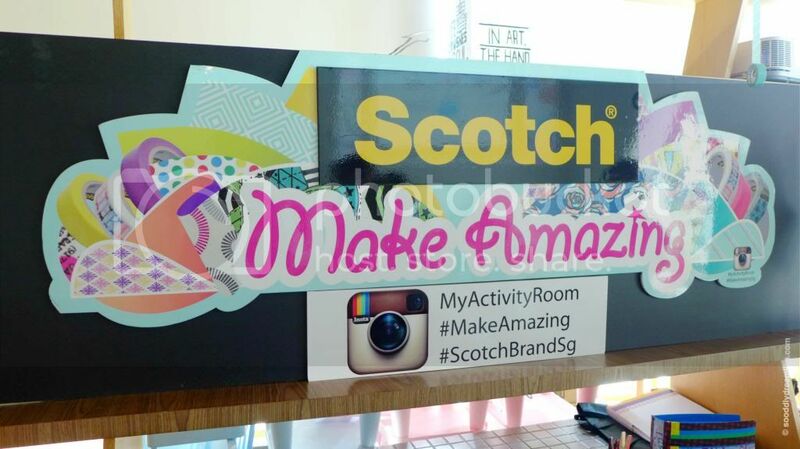 You can also visit MyActivityRoom.com and have fun with various creative projects using the 3M Scotch® Expressions Tapes, or upload and showcase your own imaginative works! 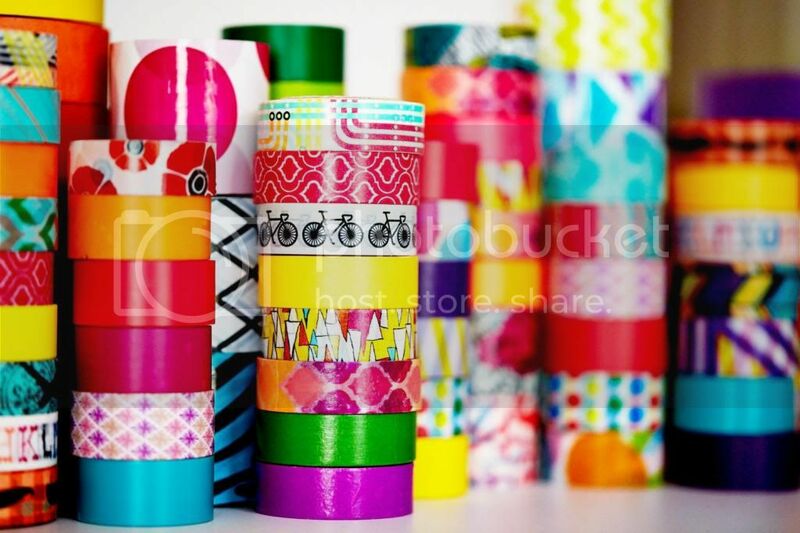 It’s a site with many inspiring crafting ideas that are achievable with just tapes and post it pads, I particularly like the Book Monster, Fan Necklace and Ice-cream Sticks Puppets. Disclosure: I was invited to attend Scotch 3M’s Make Amazing Tea Party and gifted with crafting materials, their beautiful tapes and Joy’s current favourite chair. 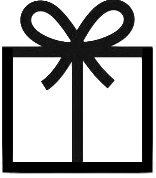 No other compensation was received and all opinions are my own. I love washy tape!! They have so many beautiful designs!! I checked out my local art supplies store and they have some Scotch expressions tape! awesomely creative! The tapes look so pretty. They are, it’s super easy to be creative with them! 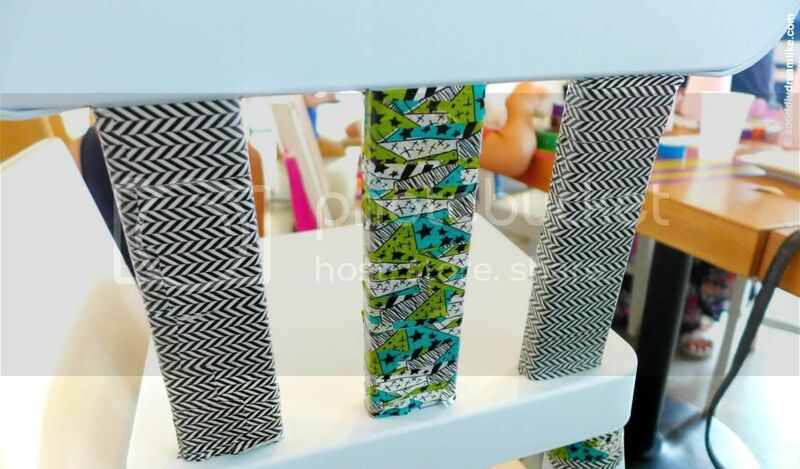 Popular has washi tapes?! And at such affordable prices too! I am definitely heading towards one in a bit!